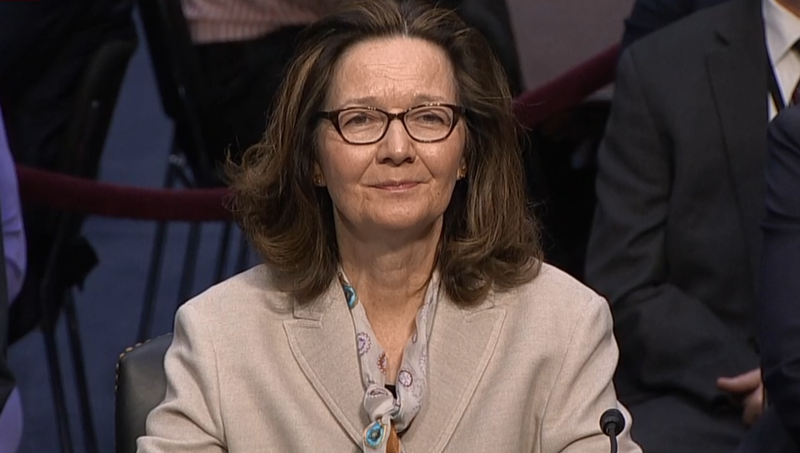 CIA Director Gina Haspel is traveling to Turkey as part of the investigation into the killing of Saudi journalist Jamal Khashoggi, CBS News has learned. Saudi Arabia said Friday that Khashoggi, who was last seen Oct. 2, was killed at its consulate in Istanbul, but said he had started a "fistfight." Earlier Monday, President Trump told reporters "we have top intelligence people in Turkey," but he didn't specify who he meant. "We're going to see what we have," Mr. Trump said. "I'll know a lot tomorrow, they'll be coming back tonight or tomorrow morning. But we have people in Saudi Arabia." Turkish president Recep Tayyip Erdogan said he will release a report Tuesday revealing the "naked truth" about what happened to Khashoggi. Khashoggi, a journalist for The Washington Post, was a known critic of Crown Prince Mohammed bin Salman, who is a son of King Salman. Turkish officials allege they have video and audio evidence showing Khashoggi was dismembered. U.S. officials have been increasing pressure on Turkey to share the allegedly damning evidence. Two Saudi officials claimed to CBS News' Kylie Atwood that the people at the consulate wanted to negotiate with Khashoggi and convince him to return to the Kingdom. Instead, these officials claim, discussions got heated, and Khashoggi was put in a chokehold that led to his death at the consulate. "There was no clear order to kill him or to kidnap him," said one of the officials. Khashoggi's body was then rolled into a carpet and given to a "local collaborator," the official said. The official said the body was not cut up into pieces, as reports from Turkish sources have alleged. The forensic official, part of the 15 person team, then covered up the evidence. When asked why there needed to be a forensic official at all on this task, the Saudi official cited an "administrative sloppy mess." The official said Saudi Arabia does not know where the body is now, and that the investigation is ongoing. A Saudi prosecutor on state television Friday said 18 people had been arrested in connection with Khashoggi's death. The country's intelligence chief and one of the crown prince's closest advisers were both dismissed, the Saudi government said. Mr. Trump said Monday he's "not satisfied" with what he's heard so far from Saudi Arabia. But on Friday, Mr. Trump had said he found the Saudi explanation of what happened to Khashoggi "acceptable." Mr. Trump's son-in-law and senior adviser Jared Kushner said Monday the investigation into Khashoggi's death is still in a "fact-finding phase." "We're obviously getting as many facts as we can from different places, and then we'll determine which facts are credible," Kushner said. On Monday, CNN aired surveillance video that appeared to show a man walking into the Saudi consulate around 11 a.m. on the day Khashoggi was killed, two hours before Khashoggi entered the building. Later, the same man apparently emerges from the consulate dressed in Khashoggi's clothes, apart from the shoes in an attempt, it seems, to cover up Khashoggi's death by pretending he left the building unharmed. CNN said it obtained the footage from a senior Turkish official, and it is part of the law enforcement investigation into Khashoggi's death.